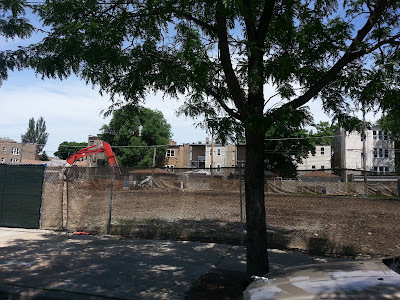 As late as May of this year word on the street is North Park University still does not have concrete plans for the large lot they've cleared at North Kedzie and West Argyle in the east Albany Park neighborhood. The lot is located across from the university's newer built Helwig Recreation Center. Feelers were put out some time ago to develop a parking lot (much needed for University events if not a dream come true for urban planners... wha, whaaa). Looking North on Kedzie at Argyle. It'd be nice if they could build up. I don't think a taller parking/ slash residential building will fly at the location. It would probably have to be too tall to accommodate cars. The development may have to be either another school facility or parking lot. The university just completed a new Johnson Center... a student center and science building on campus and they own a lot of apartment units in the area. Roughly 27 single family homes have sold in a four block radius of the vacant lot location on Kedzie and Argyle. The median price of a single family home is about $329,000. 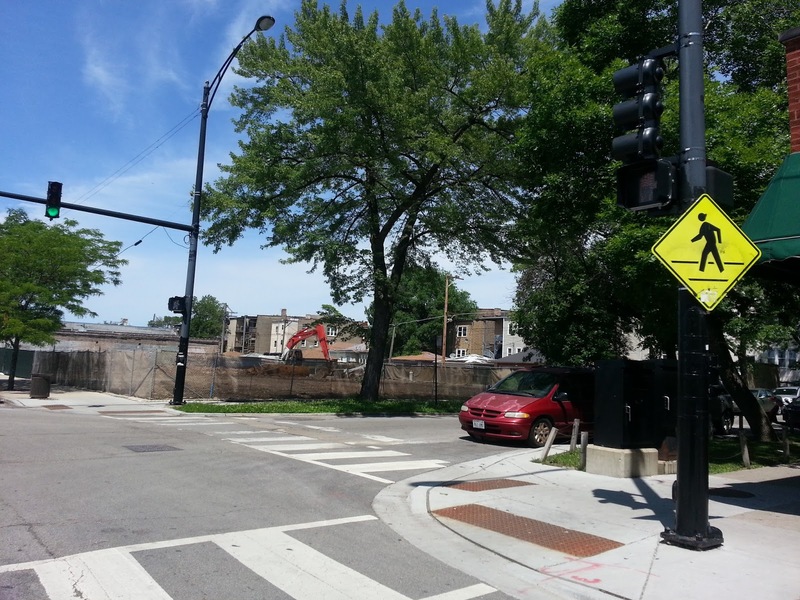 Homes to the east of the lot near North California Avenue are more expensive than homes west of the lot in Albany Park heading towards North Pulaski. The highest sale in the past 12 months was 2928 West Wilson, Chicago IL 60625 for $575,000. The home located in Ravenswood Manor southeast of North Park University sits on a 43' wide lot and needed renovation at the time of purchase. The lowest priced single family home sale was 3347 West Eastwood, Chicago IL 60625 for $219,000. The small frame bungalow sits close to the Kimball and Kedzie CTA train stops and North Kedzie retail and restaurants. A pretty good deal sold in multiple offers.